Want to print even better? MAXIFY it! Want to shoot lasers out your ears? MAXIFY it! MAXIFYing is the greatest thing since Canon invented sliced bread. Just take a simple concept like printing......then MAXIFY! 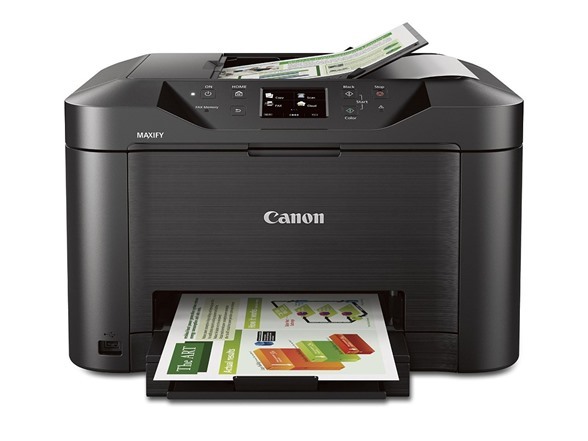 Now your printer is a wireless printer, copier, scanner, and fax machine that runs on the power of jets! Oh wait...oh, INKjets, ok never mind. But still! MAXIFY everything in your life! MAXIFY your wardrobe! MAXIFY your car! MAXIFY your face!...oh, I'm being told to stop encouraging you to MAXIFY. Wait, why? [whispering from off camera] Uh huh...ok...ok......WHOA, REALLY? Ok folks, uh, remember when I told you to MAXIFY everything? Well don't. I thought it meant that you just make a thing cooler but instead it just replaces the thing in question with a great printer. So if you MAXIFYed your wardrobe, you now have a closet full of printers. MAXIFYing your car means you now have a printer with wheels. And MAXIFYing your face...well, let's just say you'll be spitting up a lot of documents. 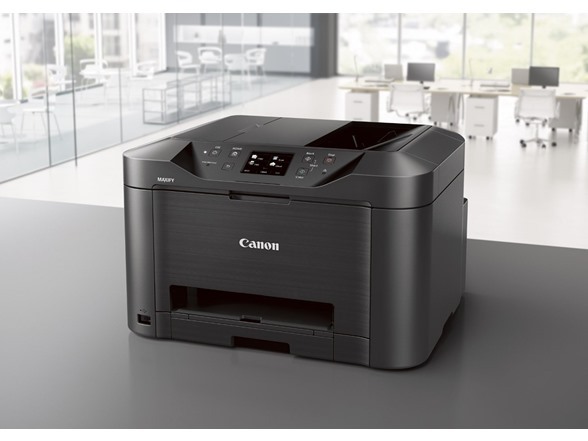 Engineered to keep up with your thriving business, the MB5020 boasts a quick first print-out time of 7 seconds and fast print speeds of 23 B&W/15 color ipm and a high-speed 50 sheet ADF. XL ink tanks deliver page yields of 2500 B&W/1500 color prints, while the innovative ink formula guarantees crisp text, sharp contrast and vivid colors that are smudge proof and highlighter resistant--giving you high quality, low cost prints for your business. With Canon MAXIFY, you save money and keep expenses down. XL Ink Tanks deliver low cost per print with a high page yield of up to 2500 Black/1500 Color pages. Forget about wasting time waiting for your documents to print. With MAXIFY your documents are ready in 7 seconds, thanks to fast first printout times and multi-page copying, delivering print speeds of up to 23 Black/15 Color images per minute. 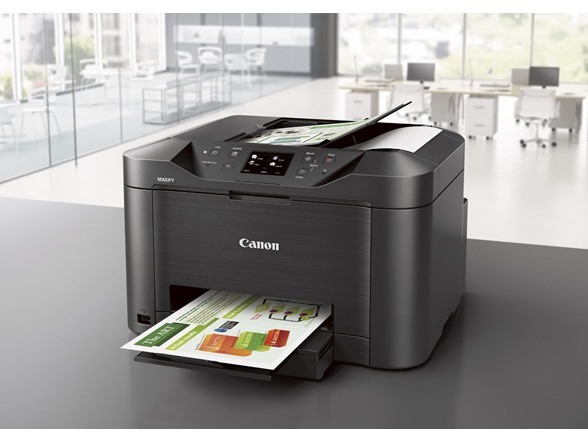 Each MAXIFY printer offers a variety of ways to make smartphone and tablet printing easy and convenient ranging from AirPrint capability, Google Cloud Print, Print from email to the Canon Print app. Thanks to the Canon Print app technology, you can share and print information directly from your tablet or smartphone from popular Cloud services like Flickr, Facebook, Twitter, Google, Dropbox and more. Our built-in wireless features will automatically connect to help you save time so you can print or scan from anywhere to anywhere. Forget about wasting time for prints. 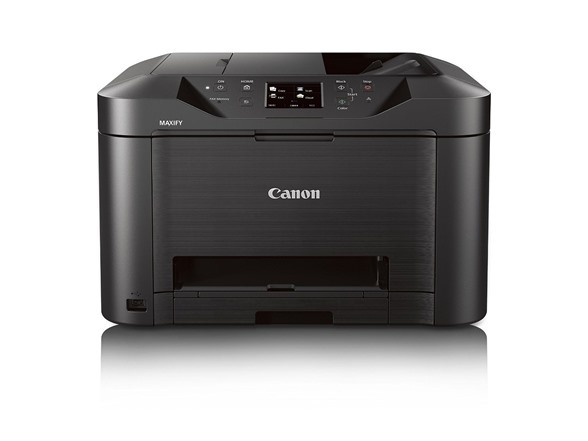 With this printer, they can be ready in seconds, thanks to fast first printout times and rapid multi-page copying. 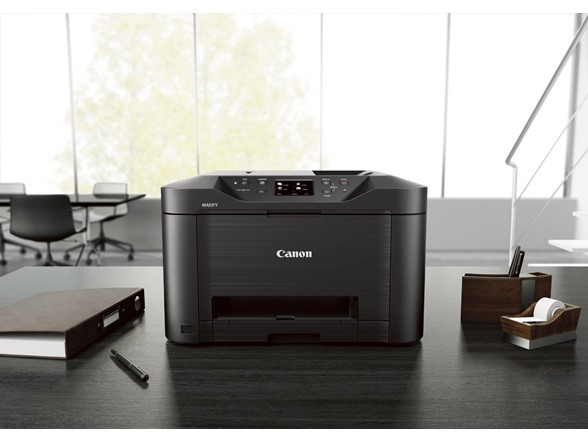 Canon MAXIFY MB5020 has the latest technology so your small office or home office can stay ahead of the curve. Note: Printers come with starter inks which should support approximately 80 pages.